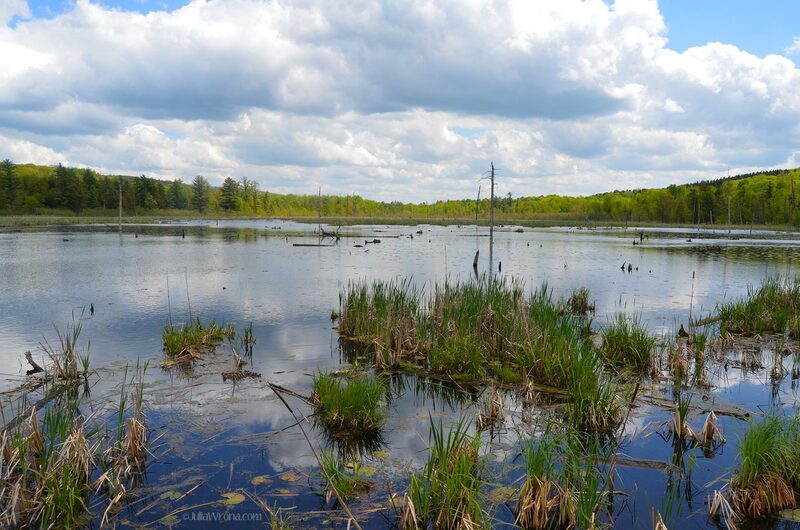 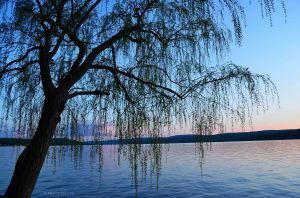 Pearson and I were driving through the Fingers Lakes, from Skaneateles to Seneca Lake, on a beautiful summer day in 2011. The sky was blue with puffy white clouds; we passed cornfields and cows grazing on lush green farms. 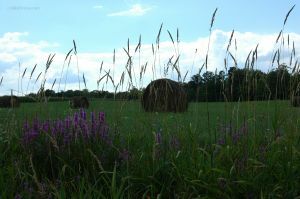 As we rolled through Ovid, NY, Pearson slowed. 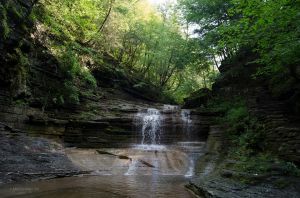 A man was in his yard wearing a tan safari outfit complete with a pith hat, holding a rifle, and creeping closer and closer to the only tree in a field. 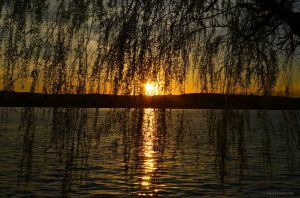 The scene reminded me absurdly of Fearing and Loathing in Las Vegas—and come to think of it, maybe he was stalking a bat. We desperately wanted to stop and find out what he was doing, however there wasn’t another house or person around and he had a gun, so we drove on. 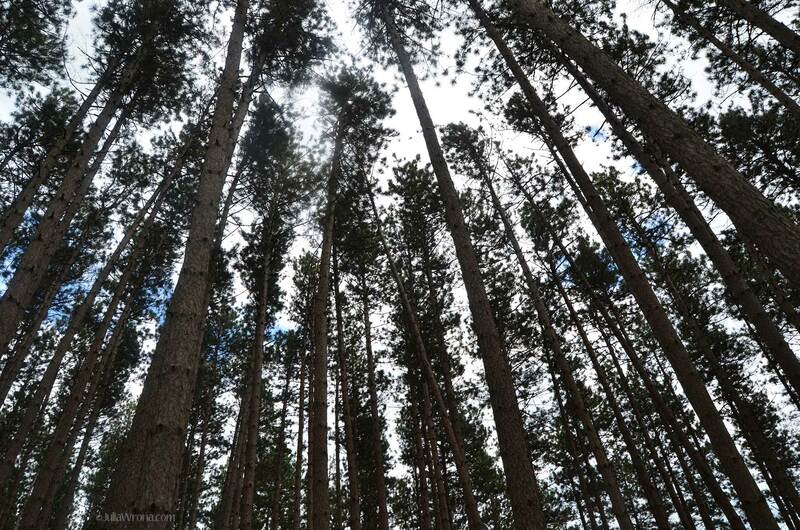 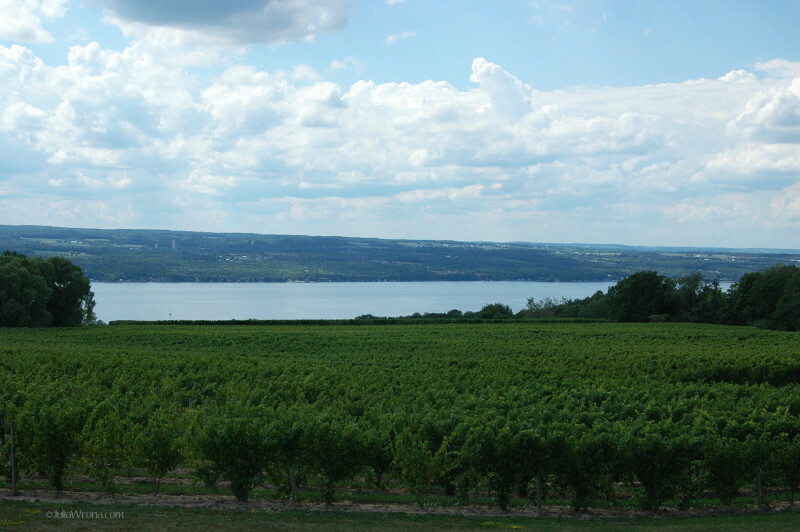 In the decade before that afternoon, I had been to the Finger Lakes many times to visit Pearson’s family. We had swum in Skaneateles Lake and kayaked in Otisco Lake, taken long bike rides on pastoral roads and hiked peaceful nature trails. 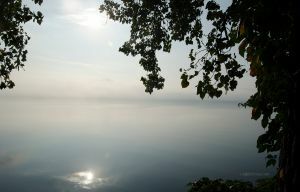 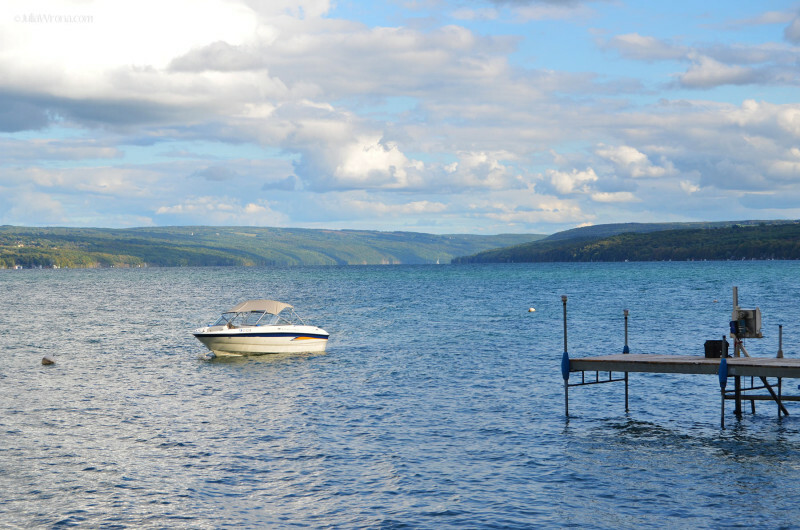 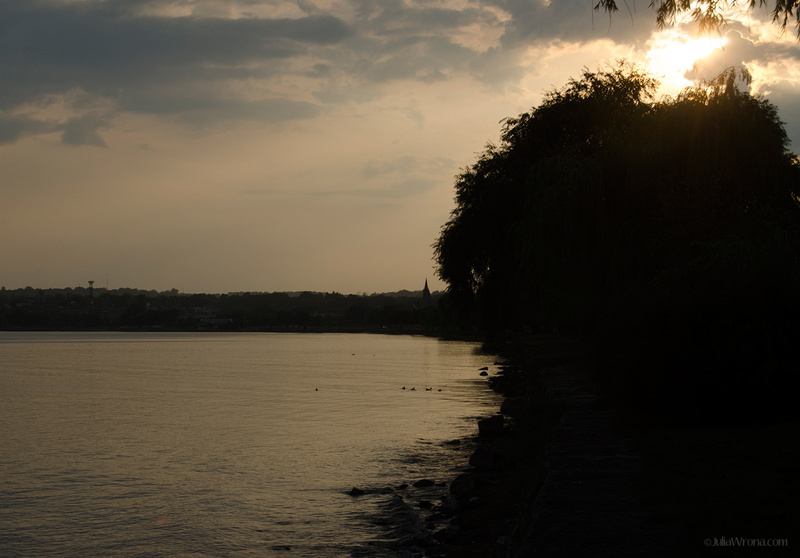 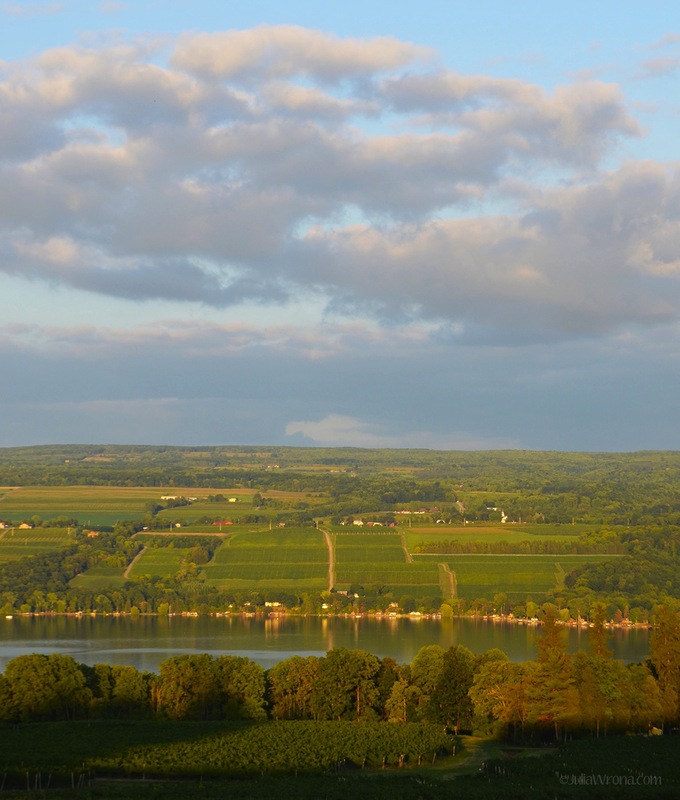 But the weekend in 2011 was the first time I had explored the Finger Lakes west of Skaneateles. 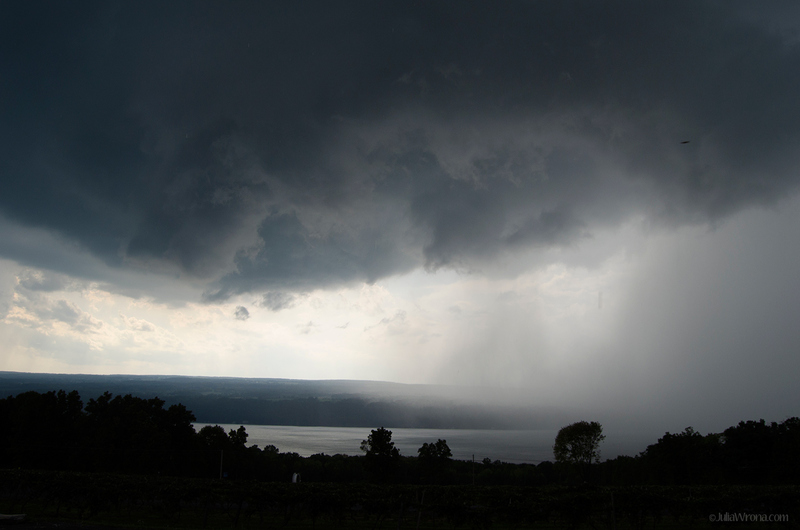 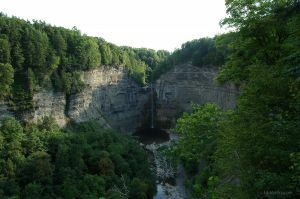 Past Ovid, we journeyed out to the eastern end of Seneca Lake for a beer tasting adventure that took us from Wagner Valley Brewing over to The Rongovian Embassy in Trumansburg, to Taughannock Falls near Ithaca, and up to Seneca Falls. 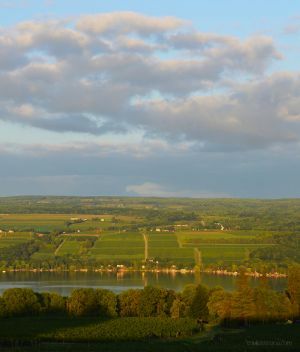 We had such a wonderful time—beautiful scenery, great beer, awesome biking—that we did it again in 2012; starting at Wagner Valley and heading west around Seneca Lake up to Geneva. Trying the many new breweries and the storied wineries. 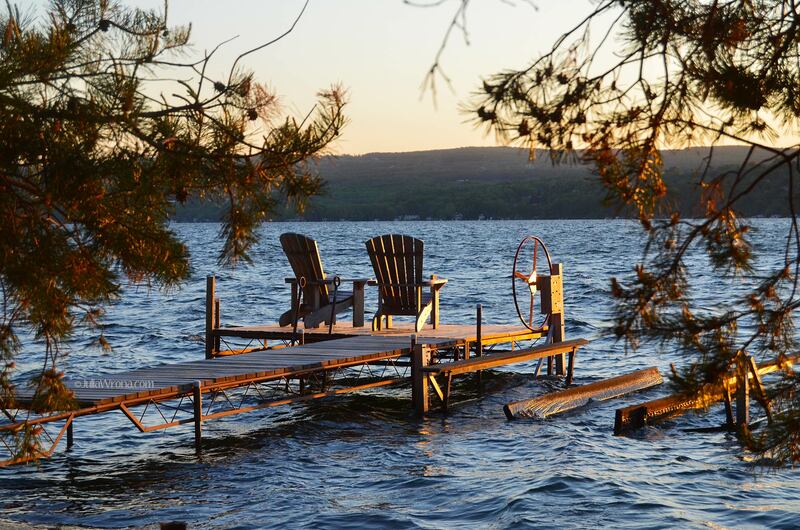 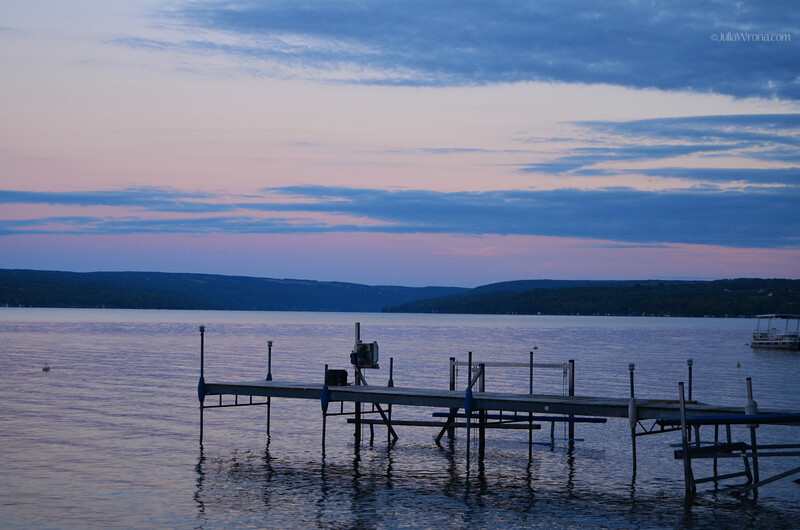 Then in 2013, my extended family rented a house on Canandaigua Lake near Rochester for a week. 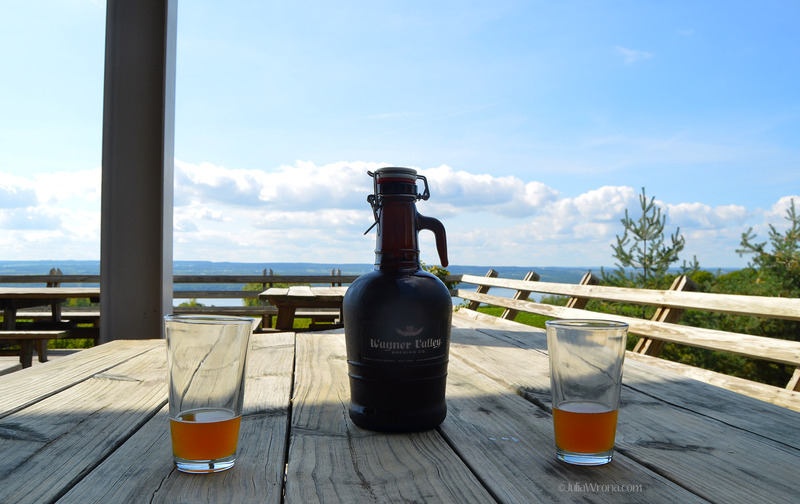 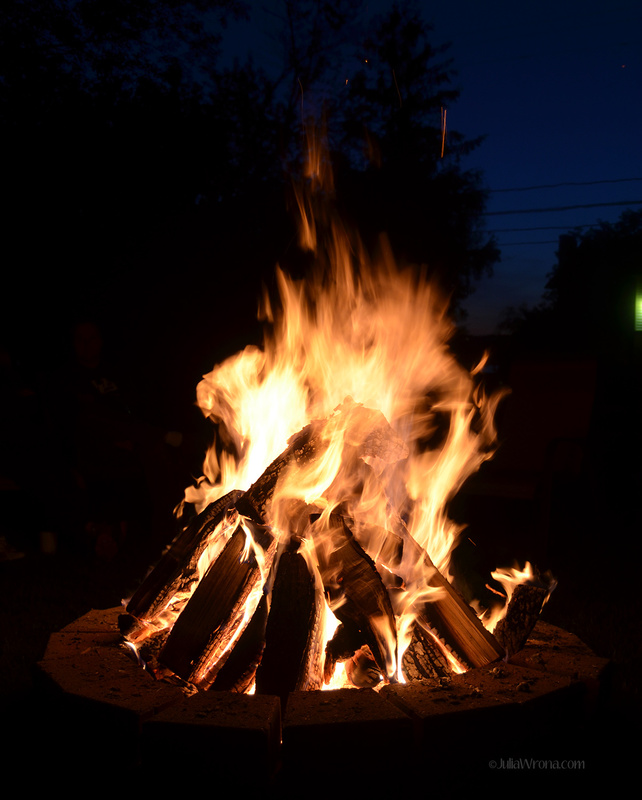 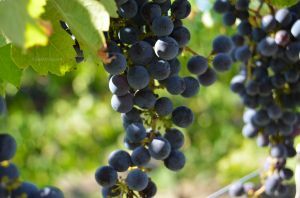 It was a week full of outdoor adventures: biking on the Erie Canal Trail, hiking near the lake, kayaking that turned into an ill-timed swim; tasty brewery and winery tours; and amazing sunsets on the lake. We all had such a great time that we’ve been back three years in a row. 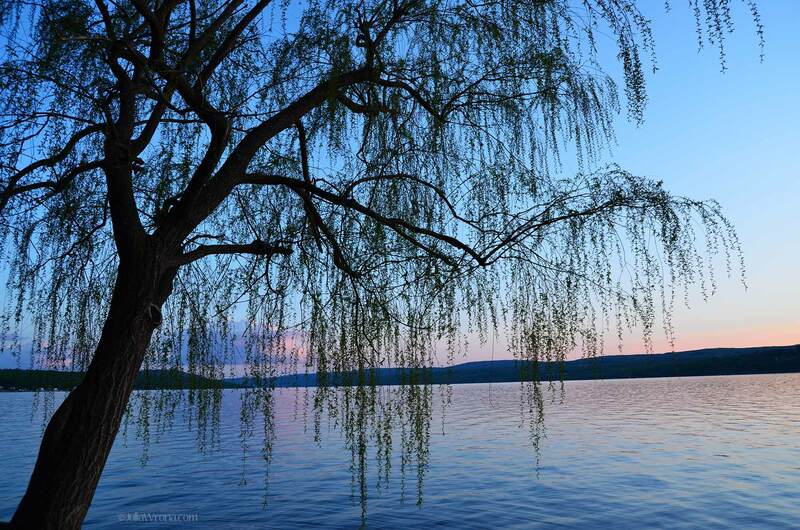 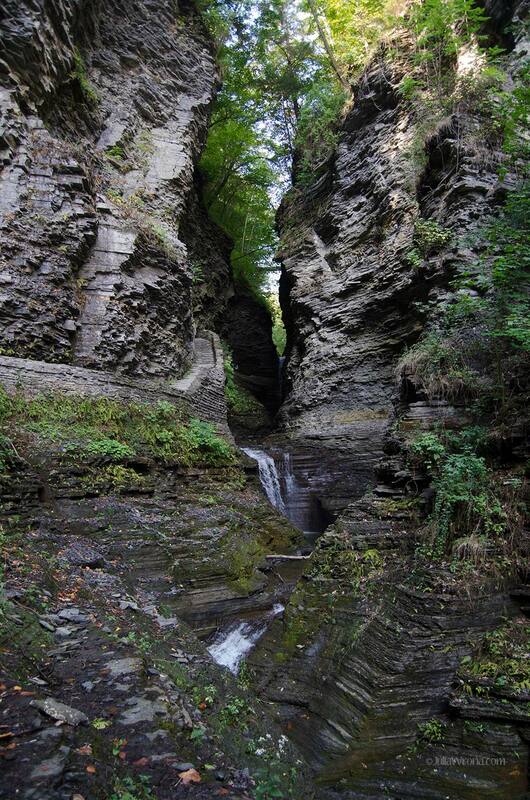 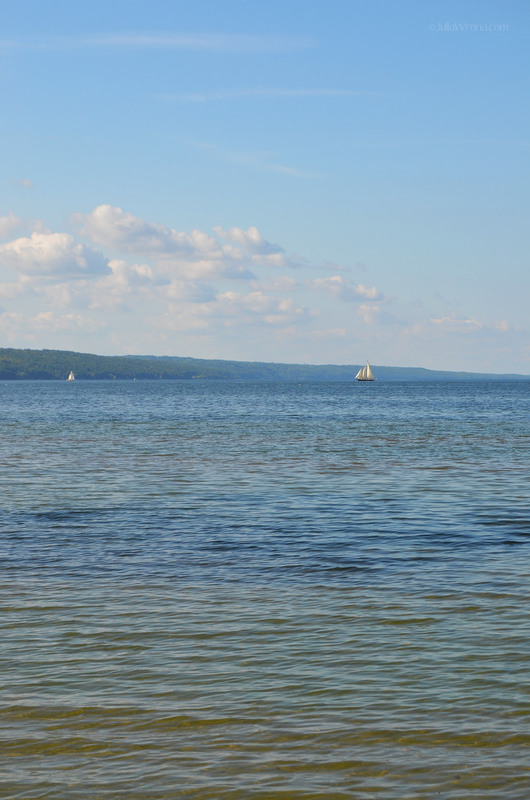 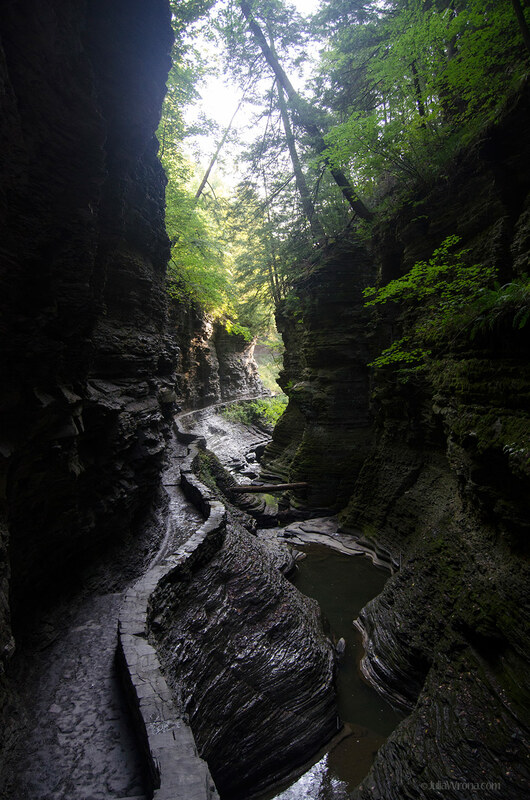 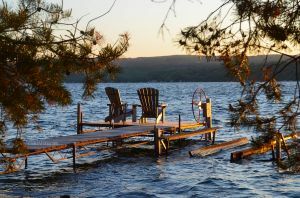 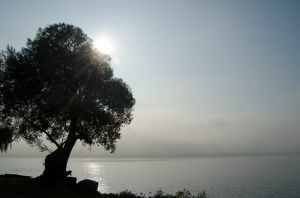 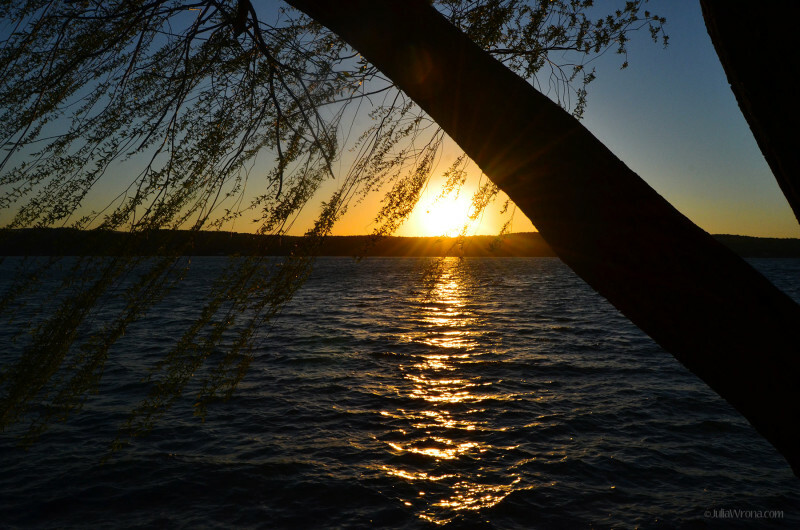 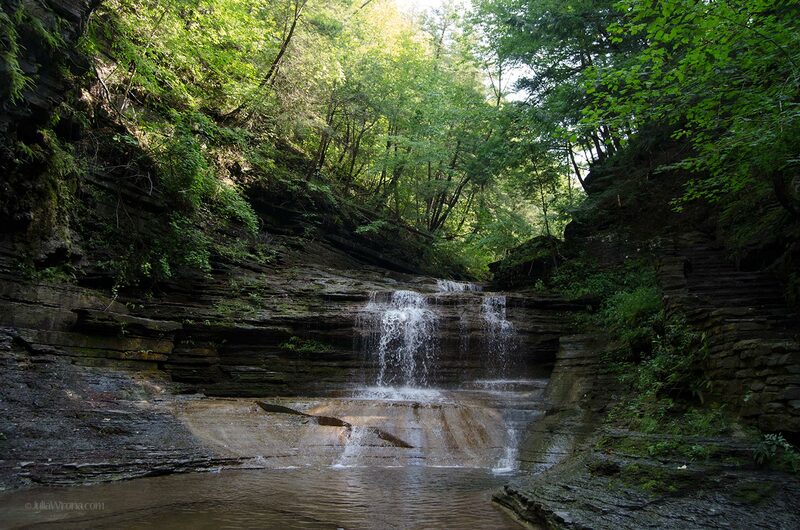 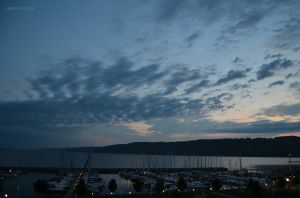 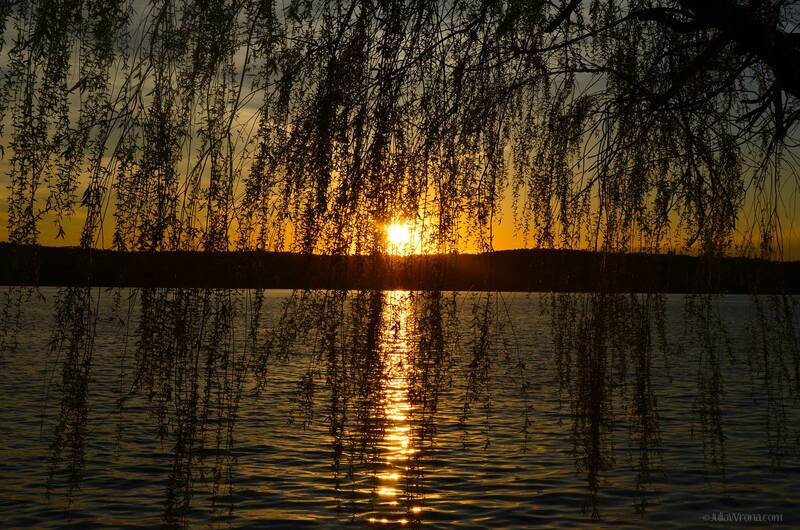 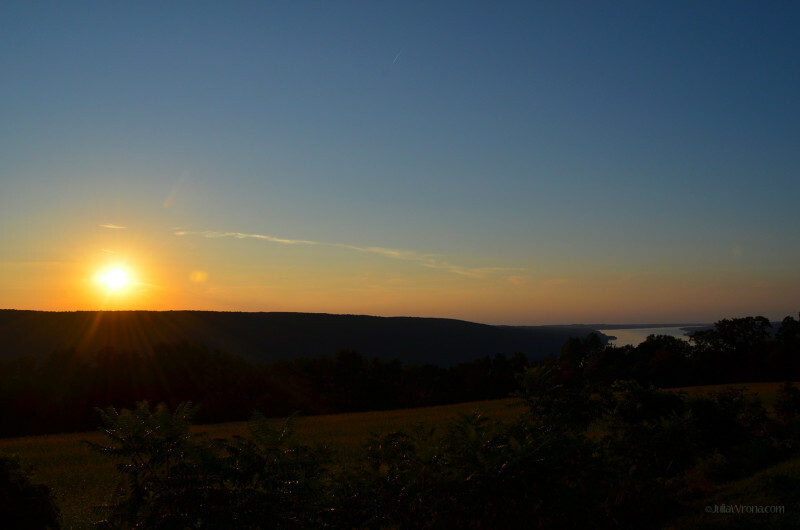 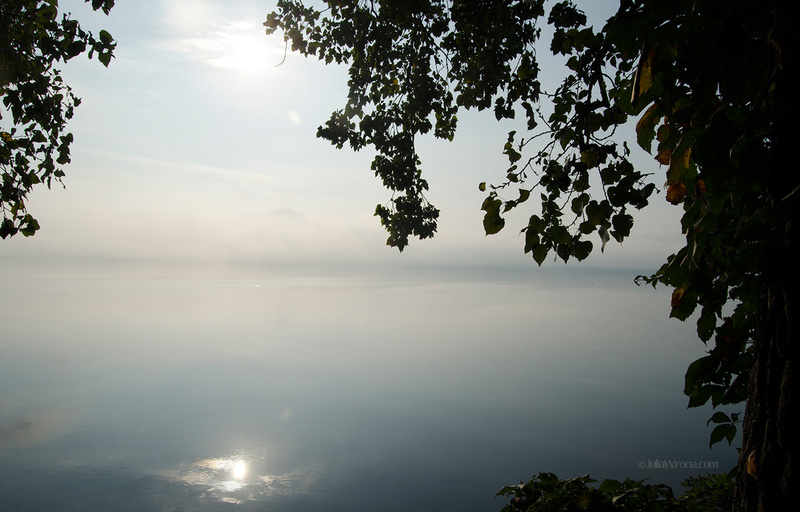 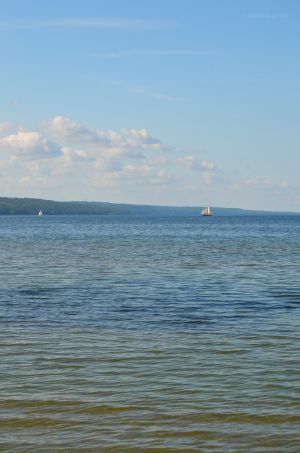 This entry was posted in Julie, Photo and tagged canandaigua, finger lakes, ithaca, new york, seneca lake, skaneateles, upstate new york, watkins glen.